Reddit is addictive The Awesome Guide to Reddit The Awesome Guide to Reddit Wonder how your friends always find cool stuff on the Internet before you? They're probably using Reddit, the self-proclaimed "front page of the Internet". Read More — so much so that many people can’t even go 24 hours without it. That kind of addiction is bad news when you work in an office environment. It’s just too tempting and too easy to Reddit while you work. This site replicates the content of Reddit but wraps it up in the aesthetics of Outlook 2007. Each email displays the username, title, and score of each post. You can switch subreddits by changing the email category, but the selection is a bit limited. This site takes Reddit’s content and displays it as programming functions. All of the relevant information is there (usernames, titles, scores) and comments can be loaded dynamically. It has a bit of a learning curve, but once you get used to it, it’s actually not that bad. If you want to keep your job, we recommend that you don’t slack off at work. But if you absolutely can’t fight the addiction, then hopefully these websites help you fly under the radar. You’re welcome. 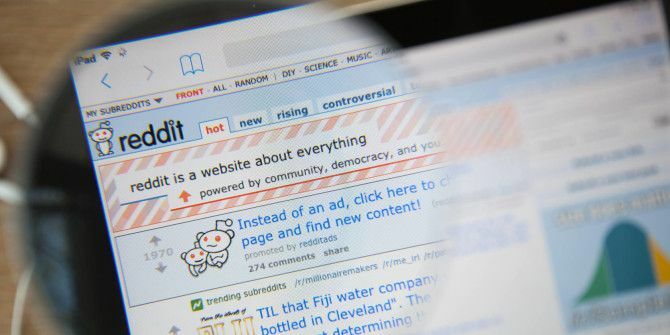 Pro Tip: While you’re at it, you might as well learn how to use Reddit like a pro How To Use Reddit Like an Old Pro How To Use Reddit Like an Old Pro There are plenty of online communities which can be found on the Internet - Facebook, Twitter, Google+ and YouTube are easily the most popular and recognizable ones. However, there are plenty of other gems online... Read More . Do you Reddit at work? How do you escape being caught? Share with us in the comments below! Explore more about: Breaks, Productivity, Reddit.